Dr. Kahn is the Director of the Institute for Clinical Hypnosis and Research, a group that trains and supervises both clinical and research psychologists. He taught for many years as an Assistant Clinical Professor at the University of Chicago, Department of Psychiatry. Dr. Kahn also performs in-service training for psychiatric residents. His private practice includes individual as well as couples work with a specialty in hypnosis and behavioral medicine and hypnosis with couples. Dr. Kahn taught stress management courses to a number of businesses and schools and also taught hypnosis workshops to clinicians at the University of Chicago and at both the Illinois and the Chicago Schools of Professional Psychology. He also was Director of the Clinical Hypnosis Program at the Adler School of Professional Psychology. Dr. Kahn recently received an award for his 12 years of service as he retired from his position as the Chair of Clinical Practice for the Illinois Psychological Association. Stephen Kahn received his Ph.D. from the University of Chicago in 1984. He then became a post-doctoral fellow at Cambridge Hospital and Harvard Medical School. Dr. Kahn has been in private practice since 1979. He also has directed a number of major research projects at the University of Chicago, one on Hardiness and Stress and another on Creativity in Artists. He has authored several papers and publications and has presented lectures based on his research endeavors. He is co-author of a book entitled "Self-Hypnosis: The Chicago Paradigm". Dr. Kahn co-edited a volume with Erika Fromm published in 2001 called "Changes in the Therapist". 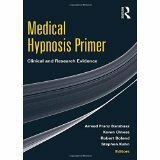 Dr. Kahn also co-edited a volume entitled “Medical Hypnosis Primer” in 2009. Dr. Kahn is a licensed clinical psychologist and is currently a member of both the American Psychological Association and the Illinois Psychological Association and the Maine Psychological Association. He is both on the faculty and a Fellow of the Society for Clinical and Experimental Hypnosis (SCEH) and is a Past-President of that organization. In addition to being a Fellow of the American Society of Clinical Hypnosis (ASCH), he is also certified as a hypnotherapist by and has been approved as a Consultant by that organization.